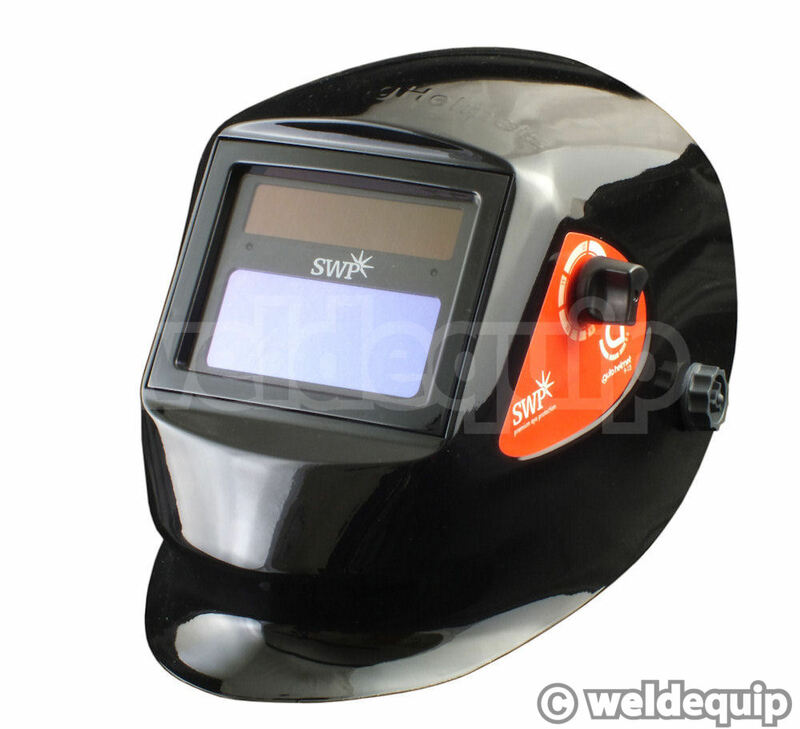 Our lowest price ADF (Auto Darkening Filter) welding helmet that meets all the required international safety standards without compromising on features. All the 'bells & whistles' are included for general MIG & ARC work. Shade adjustment is fully variable from 9-13EW and internal controls adjust Sensitivity and Delay of the LCD cartridge. 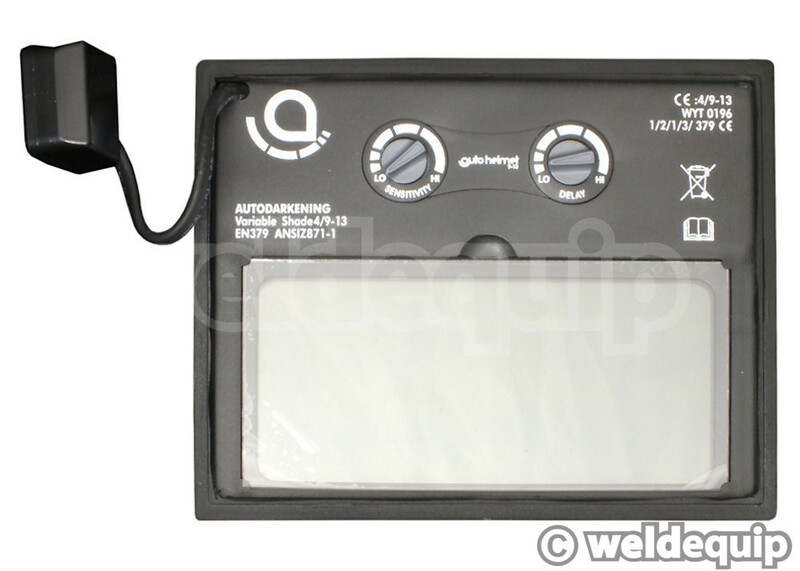 The optics are solar cell powered so require no battery changes. The headgear is comfortable and the lightweight helmet shell is manufactured from impact resistant material, with a gloss coating to resist weld spatter & sparks.